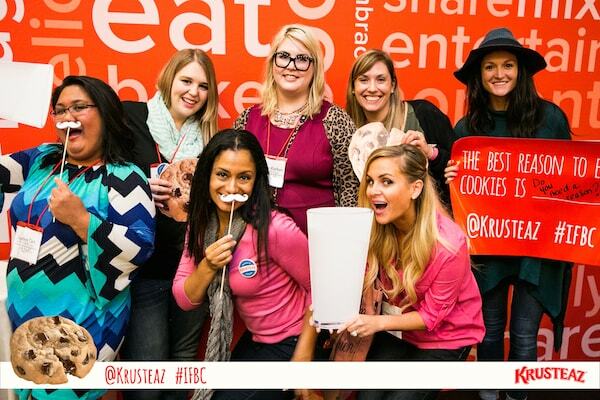 Last weekend I had the pleasure of attending IFBC, a food blogging conference, as a brand ambassador for Krusteaz. 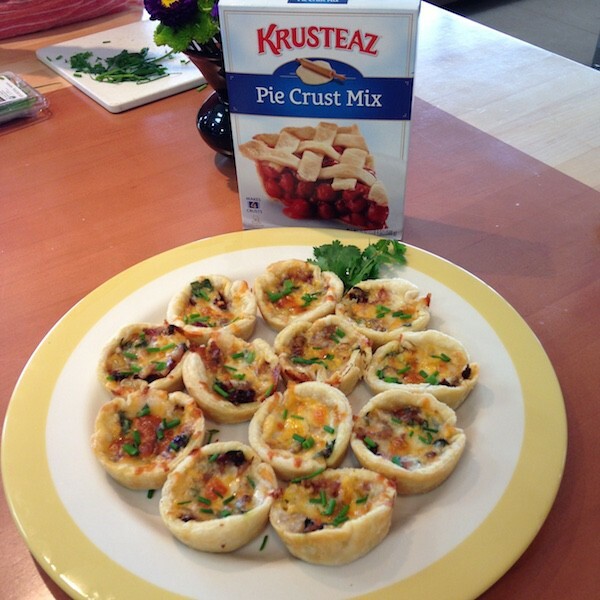 I’ve been working with Krusteaz since June, creating recipes for their site. I absolutely love all their mixes and this weekend was a way for me to spread that love and find out some fun things about them that I didn’t know. 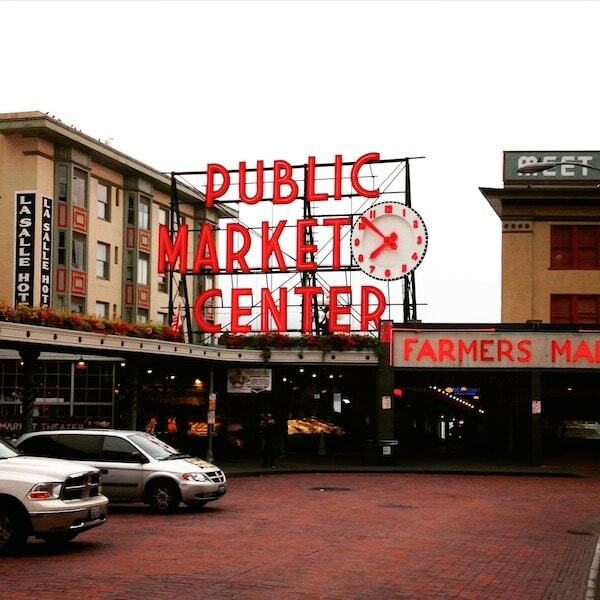 IFBC takes place in lovely Seattle. Have you ever been? I love Seattle, even though it poured on us all day Thursday! 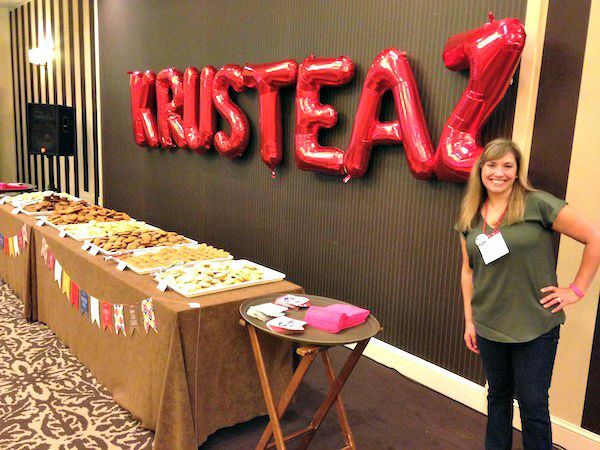 On Friday, the day before the conference officially began, I joined the other Bakers Dozen members for a tour of Krusteaz HQ, just outside Seattle. There we got to tour where they develop products and marketing, we learned about the company, and even got to make our own lunch in teams. My team was assigned appetizers and Krusteaz Pie Crust. Newsflash: I didn’t know they even made pie crust! Also some interesting information: did you ever wonder where Krusteaz got it’s name? Back when the company first started, they created their pie crust after realizing how hard it was to make it from scratch. Their version is easy: “Just Add Water”. They named the company after the ease of the crust: Krusteaz. Get it? After lunch we got to enjoy cookies! I love all the new and improved cookie mixes. That’s me with Lindsay Ann and Toni. 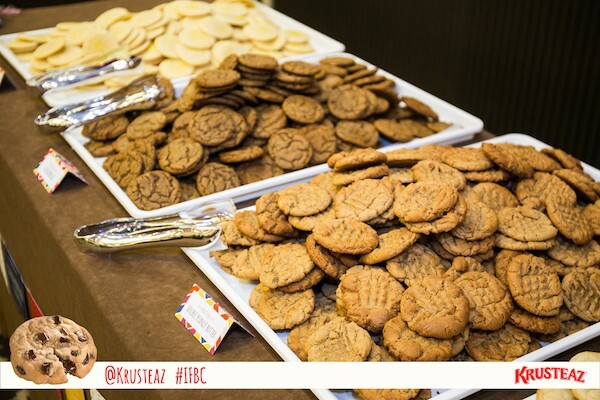 On the day of the conference, Krusteaz hosted a cookie exchange social hour. Jen from Hostess with the Mostess, one of the Bakers Dozen, created an entire theme of cookie exchange crafts, printables, and party decor. Each attendee got to craft some boxes and bags to fill with cookies to give as gifts (or eat!) Check Jen’s blog – she’ll be posting all the printables for free soon. 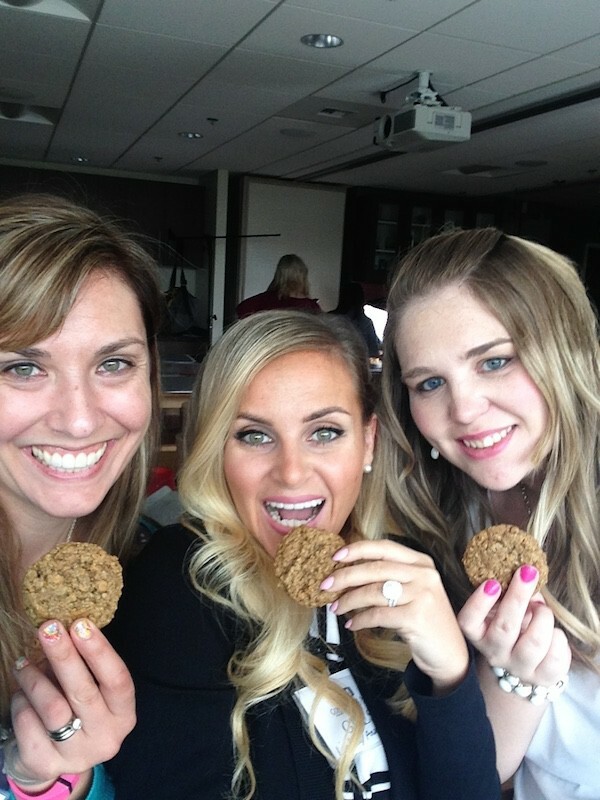 We got to enjoy tons of cookies. My favorite are their Gingerbread, Peanut Butter, and new Oatmeal Scotchie! Pictured: Joan, Cathy, Roxana, Lindsay Ann, and me. 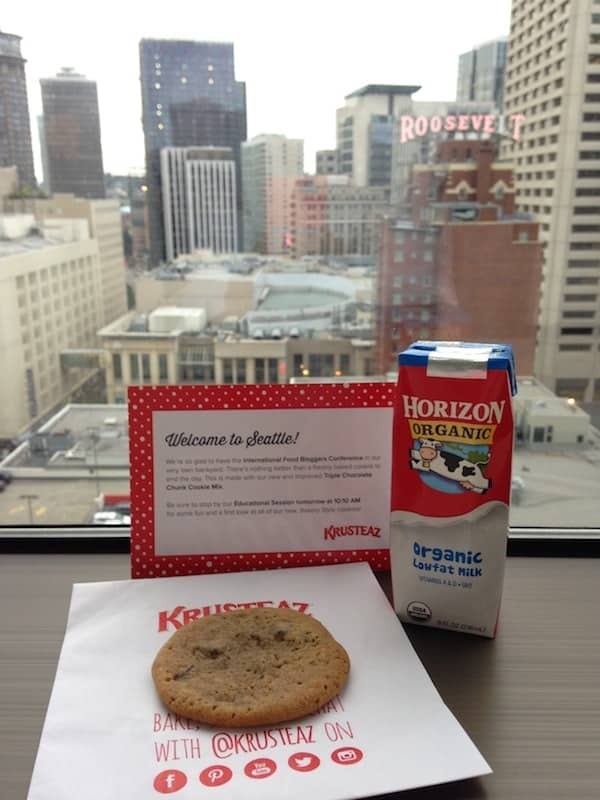 Krusteaz even gave every conference goer staying at the hotel cookies and milk! 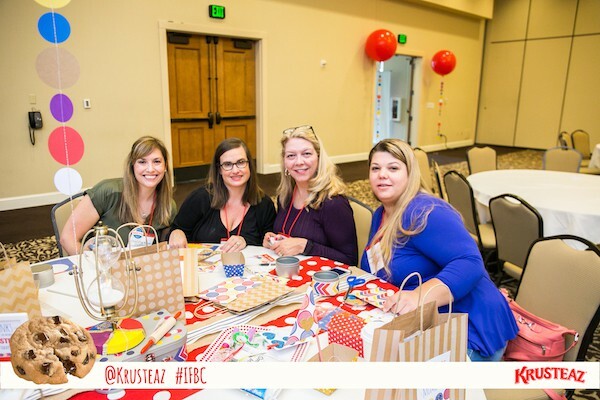 We all had a great time representing the brand at IFBC. I absolutely love Krusteaz and I hope you do to! Check out all the Bakers Dozen and stay tuned for some fun recipes! While I was in Seattle I made sure to stop at lots of fun food places. 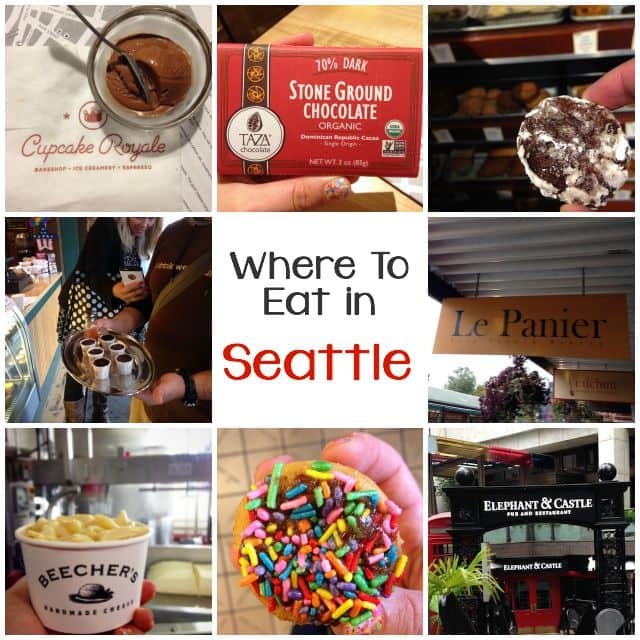 Here’s a list of where you should eat in Seattle! 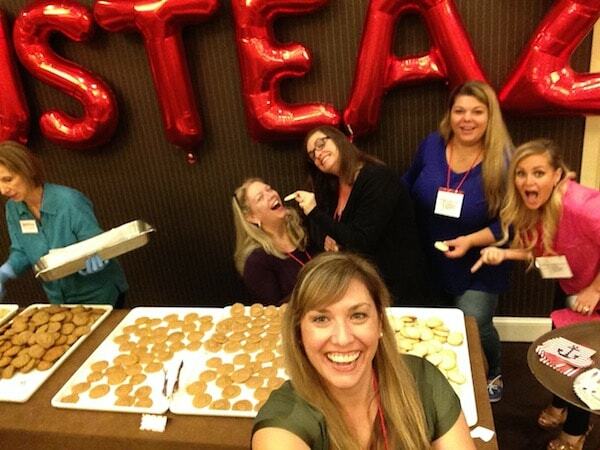 I totally missed that you went to IFBC in the craziness of my own travels and life! Thanks for the awesome recap! It looks like you ladies were having a ball! Glad you had a good time. Got to love all the goodies! SO FUN! omigosh that looks like such an awesome trip! Love your recipes and Krusteaz too. Just wish they would bring back their Cinnamon Raisin Biscuit mix – totally awesome!!!!!!! Have tried to duplicate, but not the same!!!!!!! I’ve only been to Seattle once and it was years ago. And my trip didn’t look half as fun or delicious as yours!